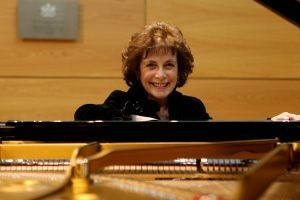 After a dazzling international career as a virtuoso harpsichordist, Virginia Black has turned full circle and returned to her roots as a pianist. Having played the Bach concertos on the harpsichord, Virginia has now teamed with the Bristol Ensemble, known for its work with outstanding international artists and soloists, to reprise the concertos on the piano. The Bristol Ensemble will perform as a small chamber orchestra for this concert, providing the perfect foil for the piano. The contrast between the powerful and expressive D minor concerto and the exuberant passion of the A major concerto will provide a fascinating demonstration of the power of Bach’s mastery of the concerto format. Together, they form an exquisite demonstration of Baroque ensemble music–making. The evening will also include the Bristol Ensemble playing works by Haydn, the dark hued Symphony No. 49 and Mozart’s graceful and charming Divertimento in F major.